Thank you everyone for making & donating supplies for these backpacks!! They came out beautiful, and will be loved tremendously! 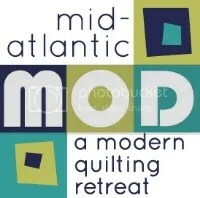 The Modern Quilt Guild is doing a Block of the Month challenge and YOU could be the next designer! The Warwick Valley Quilter’s Guild is hosting their Stars of the Valley Quilt Show on October 15 & 16, 2016. The deadline to enter the show is September 1st. Click here for more information! If you don’t already, you should follow us on instagram “@njmqg.” 😉 we are always posting WIPS, quiltspiration, and other fun stuff including NJMQG InstaIntros to introduce our own board and our members members. So far we have 11 blocks for our “Quilts of Valor” quilt, and we need 20! The free pattern can be found on Craftsy. Volunteers welcome! We are starting a new workshop series within our guild, with our super talented members leading the classes! Starting us off will be Diane Fama, teaching Hawaiian Appliqué ! Click the link for more information and for registration! In September, Betsy V. will be doing a Member Trunk Show! Our next Open Sew is Saturday, September 17th from 10am-2pm. DC zipper pouch swap info: Click here to read all about it and to register! We will be using a Pinterest board to post photos of ideas and examples for inspiration. We are encouraging everyone to add no more than $10 worth of fun little trinkets inside the bag for their partner. Sign ups close on Sept. 6th and matches will be sent out by Sept. 12th. Just wanted to let everyone know there are 3 spots left for retreat! For those that were interested in attending Thursday – Sunday the price will be $275. Contact me directly if you wish to join us!